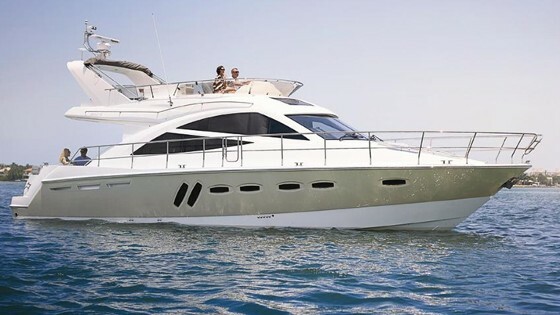 The T50 from Sealine has features you would expect to find on a yacht twice its size, plus a few we have never seen before. 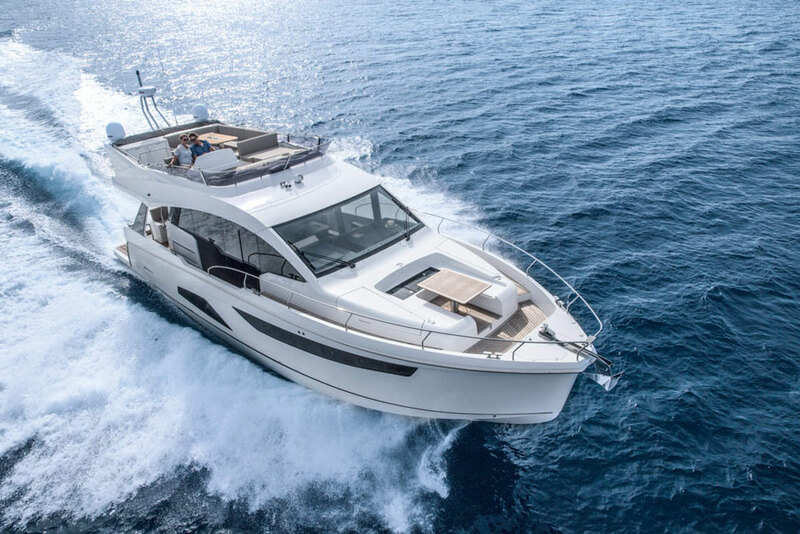 Sealine burst back on to the scene in the US of A with red-hot new designs like the sporty SC42i and the spacious C48, but one of their pre-existing models, the T50, is also generating a lot of attention. Why? 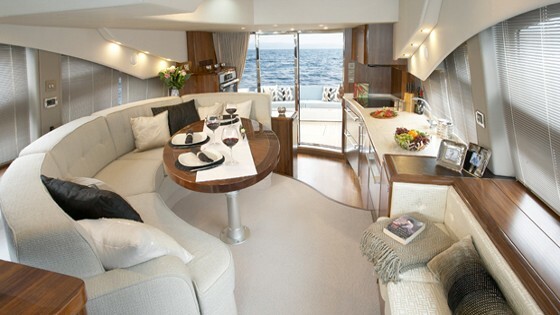 Because the T50 now features some perks and pleasures that you’re not going to find on any other fifty foot boat. 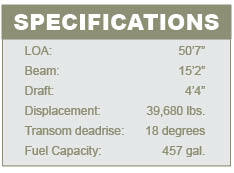 In fact, it might be a mistake to call the T50 a boat—it seems that this big boy has made its way into yacht territory. 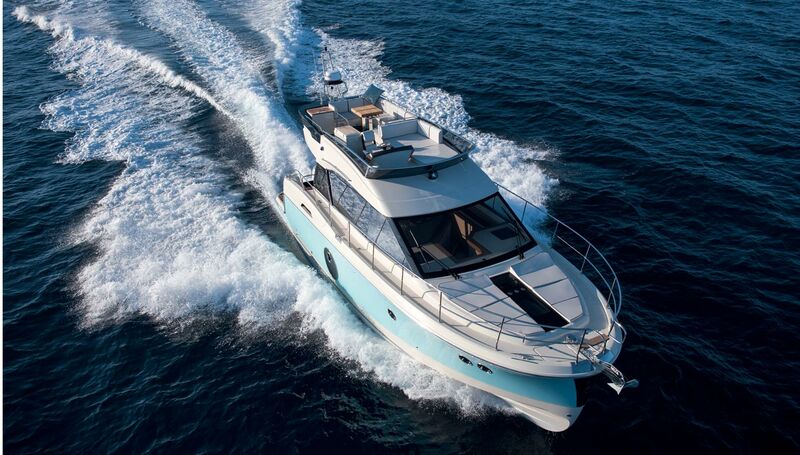 Is the Sealine T50 more accurately called a boat, or a yacht? You'll decide for yourself - but we know which way we're leaning. The first inkling that the T50 goes above and beyond the norm for its class comes in the most unlikely of places: the engine room. Climb belowdecks to check out the twin V-drive iron horses and you’ll discover that it's actually enjoyable down there, because it’s air-conditioned. 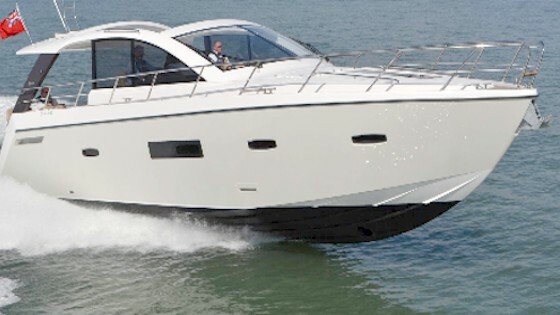 Also be sure to check out the important stuff: our test boat had a pair of 575-hp Volvo-Penta D9’s which drove us to a cruise of about 25 knots and a top-end right around 30 knots. Want more power? Then opt for the pair of 600-hp Cummins QSC’s. Another yachty perk is the passarelle. You usually see these extending from the cockpits of fiberglass behemoths, to make boarding easier. And although the deck of the T50 doesn’t sit five or 10 feet above the dock, having the passarelle comes in handy when the tide makes boarding require a leap instead of a jump. Added bonus: it does double-duty as a small crane, capable of lifting and deploying tenders which can be kept on the swim platform. All you have to do is press a button to lift, lower, or extend it. Don’t stop pressing buttons just yet—there’s another one in the cockpit that we need to activate. When you’d like some additional room back there, give this other button a poke and the settee will magically shift aft by several feet. Time to go for a swim? Change-o-presto, one more press of the button and the settee moves forward again to “extend” the swim platform. There’s yet another cool button-activated gizmo, this one on the flybridge, in the form of an automated Bimini top. In case you hadn’t guessed it yet, Sealine is big on buttons. 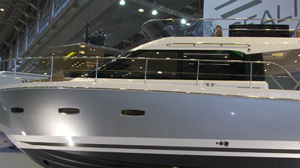 Watch our Sealine Life at the Press of a Button video, which shows a slew of moving parts on three Sealines, electrically transforming with zero-effort finger-pushes. 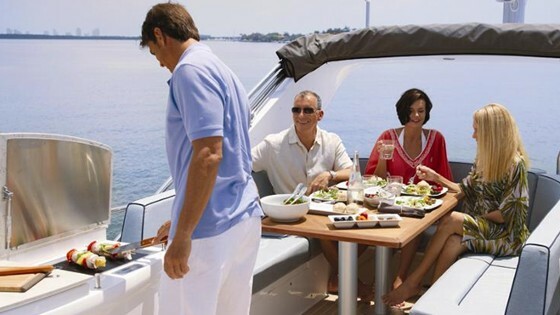 The bridge Bimini deploys at the press of a button, shading the electric grill, wet bar, and dinette. Warning: once you go to the flybridge to check out the magical Bimini, you won’t want to leave. This was one of my favorite parts of the boat, because it’s roomy and rigged for some serious entertaining. There’s a built-in grill, a wet bar with an ice maker, and a dinette with seating for six. It’ll even be a choice location for cruising, thanks to the passenger’s side sunpad. Considering the view and the accoutrements, as long as the weather’s good, why would you choose to be anywhere else? That might seem like a rhetorical question, but it’s not—because the “somewhere else” you could be on the T50, the salon, out-does its class too. Pass through the curvaceous, heavy-duty, stainless-steel framed entry, and you’ll discover radiuses everywhere. The dinette and table, the overhead, the window valences, the galley countertop, even the stairs are curvy and—dare I say—seductively yachty. And yes, there are some entertaining buttons to push down here, too. Hit one to watch the TV rise out of a countertop; hit another to raise or lower the adjustable dinette table. The salon is full of curves - and comfort. The return of this UK builder to the United States may have been headlined by New! New! New! models and heretofore unseen designs. 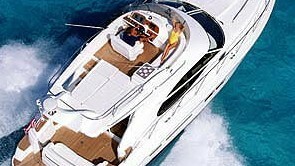 And Sealine has more of them coming in the near future. 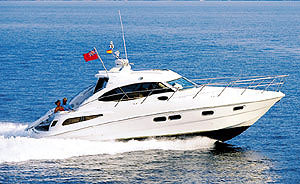 But we doubt anyone on these shores has seen a boat like the T50 before. In fact, we’re not even sure anyone’s ever seen a yacht like it, either.